Hi everyone! I'm so excited to tell you that I've been nominated for The Liebster Awards! Saowbia from Ever The Reader nominated me, thanks so much! Be sure to check out her blog as well! 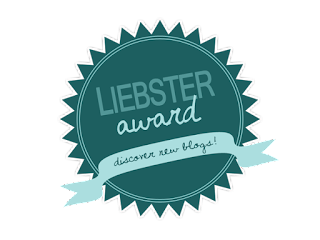 If you didn't know; The Liebster Awards is a way for bloggers to discover other blogs and nominate blogs that have under 200 readers. 3. Nominate 11 other blogs and give them 11 questions to answer on their post. What are your views on diversity in literature. Do you think it should be implemented in every story? Well, I think it's important to read about diversity now and then. I usually pick a book that appeals to me and I won't discard it because there is no diversity in it. I don't think anything should be in a book, I totally leave it up to the authors as long as I enjoy the story. Who are some of your favorite POC and/or LGBTQ+ characters? I've not read a lot of books in this genre, it's not that I don't enjoy, I just read other books first. I did read Carry On and The Art of Being Normal, which I both enjoyed. I loved the characters in these books; Simon & Baz and David & Leo. What are some of your favorite non-fiction books or memoirs? This is a genre that I don't read very often. I remember reading Zoo Station by Christiane F. when I was around 15 years old, and I still remember the book, it made a great impact on me. It's about a girl addicted to heroin and working in prostitution. Do you feel that you're represented in media? Is there a particular character you identify with? What would you like to see more of, in terms of representation? Right now, teachers and their profession are discussed a lot in The Netherlands. Especially the salary but also the full classes and 25% burn-out rate in my profession. Discussions are going on and I don't always follow up, because I just love my job. I feel represented by a lot of people who stand up for the teachers and tell the "nitwits" that the job is hard! Yes, you do have a lot of vacations, but you do have a lot of overtime that you don't get payed. Those people then say: "Go home earlier", but I can't! I still need to do stuff. So I'm glad that a lot of people stand up for teachers! I do agree on the full classes and the burnout rate is just way too high. I would participate in strikes, because it's also predicted that by 2020 there aren't enough teachers in The Netherlands so I hope to attract more people to this great field of work! What are your views on mental health representation in literature. Name a few books that you think portray mental health in a respectful light. I feel like a lot of people (including me) will never really understand how it feels like to deal with mental health issues. I can imagine that those people feel really lonely, and they also feel like no one can understand them. I wouldn't know how to help a person even if you want to so bad.. A book that portrays this in a beautiful way, for me is All the Bright Places. What are some of your favorite Own Voice books? What are your views on reading problematic books? Would you read a book that's been reviews as problematic and offensive? Imagine you were genuinely interested in the book but are hesitant to read it because of the controversy. Would you still read it? Besides diversity, what other things would you want literature and stories to improve on? Do you believe that authors have the right to write books about another person's experience? For example, do you think a straight author has the right to write about a gay character's experience or a transgender character's experience? Of Course! If they have done the research and talked to people who have experienced those things, yes! To let, for example, a transgender person read the book and give their opinion and let them help in the process, why not?! Word needs to spread and books are a great way to lift some taboo's or change a person's view on things. Do you read only for entertainment or do you read to educate yourself as well? What are some lessons or morals you've learned from reading? I mainly read for entertainment, since in my profession you already read a lot to grow professionally and I really just want home to be home and leave my work at work. I do grow as a person by reading books. If you read about things you've never experienced you can still learn how it was for a person to go through those things. It made me understand other people a bit better and it opened my eyes to not have an opinion about others too fast. List some of your favorite books so far this year and why you loved them so much. A court of Wings and Ruin; Just the best series ever. Great characters, great plot twists, great feelings, great worldbuilding, great conversations, great romance... Want me to keep going? Liar Liar; A lot of potential suspects made me guess for the real killer until the end, just how I like it. Harry Potter and the Prisoner of Azkaban; 1 reason; Harry Potter. Falling for You; Very real characters, gave me summer vibes and had a lot of feelings while reading this. 1. Audrey from Audrey Caylin's Blog; This blog gives me positive vibes and it looks great! 2. Noelia from A Day In Bookland; Love the self made pictures on this Blog! 3. Ash from Fear Street Zombie Reviews; The way Ash writes is great. I can read a huge review and not be bored or skip parts. 4. 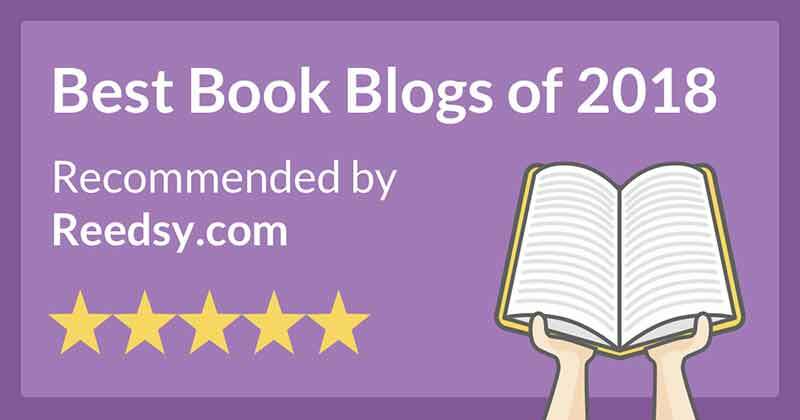 Megan from Book Birds; We read the same books, so this is a Blog where I stop by very often and highly enjoy the reviews! 5. Henna from Howling for Books; I like the way she writes about books, it keeps me focused, next to that, she enjoys the same genres as me! 6. StacyRenee from Lazy Day Literature; I like the way she fills her Blog with different posts. The reviews are a blast to read! 7. Ann and Clare from Dual Reads; Always a great choice in books. Love how they work together to make this an awesome Blog! 8. Erika from Books & Stars; I like the way the reviews are build-up. They are nice to read and I have no trouble reading a whole review. Scores for books always make sense! 9. Elena from Book Lady's Reviews; This Blog looks awesome! I love the way the two font's totally work together. I also really like the discussion posts. 10. Vivien from Pages Of Wonderland; The Blog looks awesome, the reviews are nice to read and usually in a genre that I highly enjoy. 11. Wendy and Tina from Tangled 'N' Books; This Blog reviews a great range of books. The pictures they take look very nice, as well as the Blog itself. 1. What's your favorite genre to read and why? 3. Is there a writer that totally blew you away with a book? Who is it? 4. What's your opinion on e-readers? Some people prefer physical books and some people love their e-reader, what do you think? 5. Is there a genre that you don't enjoy and why? 6. What is the most positive experience for you because of being a Bookblogger? 9. Would you one day want to write a book? Why or why not? 10. What's your favorite book character of all times? 11. If you could visit a world from a book, where would you go? 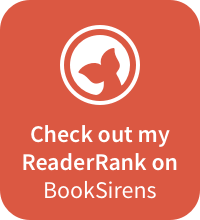 Thanks for reading!! And Spread the Booklove!